Okay, so now we know they're official. We know their street dates and prices. We even have a pretty good idea of what they can do spec wise. But the bigger question is, do you see yourself buying either. 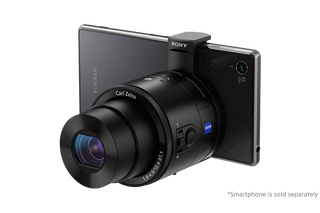 I'm seriously considering spending the $500 for the QX100 but I'm deeply terrified of the buyers remorse that will be associated with it (as most modern Sony consumer electronics products tend to leave me with). The flip side is if I don't buy it, then they won't invest in a version 2 that would theoretically get better. So where do you all stand on either lens/camera?